iOS 10 just released to the public on 13 September ago. Unfortunately, there are a number of reports that indicate the emergence of a number of problems that interfere with the performance of iPad and iPhone after the user update the operating system. If you are an iPad or iPhone user and encountered a number of problems after updating the OS, do not worry and panic. There are many ways to deal with IOS 10 issues. Some of the problems that arise need to be addressed immediately, and some can be handled easily. 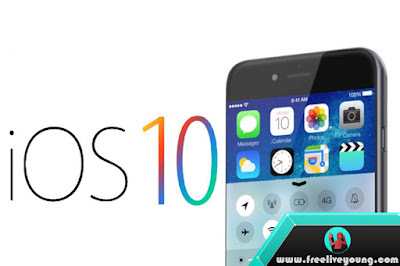 ios-10Starting from low battery life, poor Bluetooth connectivity, until iPad and iPhone freeze (read: not operable) after renewal, we're here to help iPad and iPhone users to address some of the issues. Problems with Wi-Fi and Bluetooth are already major Apple subscriptions, and it seems the same thing keeps happening on iOS 10. Just wait, then there will be a lot of complaints about Wi-Fi and Bluetooth functionality on iOS 10 which is often annoyed. It just feels easy for you to solve the problem. What we do to solve the problem is quite simple. We just take the existing device then direct access to Settings > General > Reset > Reset Network Settings. By having the Reset Network Settings option, the wireless connectivity on your device will return to the initial setting. Do not worry, the data you save will remain intact. This will usually resolve issues related to Wi-Fi and Bluetooth. Some iOS 10 users experience problems where the iPhone loses a cell signal, and most of them can not get a signal back even though the phone has been moved to an area where mobile phone signals overflow. Restarting the iPhone is a great solution, although, in fact, this is just a temporary solution. Some mobile vendors advise users to re-install iOS 10 by connecting it to a Mac or PC, using iTunes. If you encounter similar issues, you need to downgrade iOS 10 to the original version, to then re-install iOS 10 in the way mentioned above. This is a common problem facing other iOS 10 users as well. There are many incoming reports that report problems where the user can not delete the application. While trying to do so, there is only a message saying "waiting", and the X icon that usually appears does not exist at all. The only solution is to do a hard reset on your iOS 10 device. Do this by pressing while holding down the power and home buttons at the same time, for ten seconds until the Apple logo appears. If that does not work, make sure that you do not install any apps in the background when you try to remove other apps. Do this by opening the App Store, then tap on the Updates> Purchased section. If there is an application in the bakcground, then change the phone mode to Airplane mode, then tap on the application to stop them. Then turn off airplane mode and download the application one by one. You may also need to reset all initial settings. Open "Settings", then select 'General'. Navigate down menu to find 'Reset' and then 'Reset All Settings'. icon-battery-iphoneUpdating iOS 10.1 might solve this problem, but you can do some things until the latest update comes up. Turn off apps running in the background by accessing the Settings menu. General> Background App Refresh. The list of applications will open and you will not need them all. For example, you can turn off Fitness Tracking through the Settings menu> Privacy> Motion & Fitness. Also turn off also Waze, Tripadvisor, Microsoft Health and Health which is actually not very useful. Use Wi-Fi wisely, and turn on Wi-Fi connections when you stay home. Some other applications such as Twitter and streaming applications also take up a lot of battery resources. Turn off both by going to Settings> Battery.